This year we are excited to have two accomplished speakers joining us to share their expertise as well as a Producer Panel regarding Electronic Sow Feeding. Dr. John Scott Radcliffe will be speaking on the importance of clean water and how it effects pig growth and Dr. Ian Wellock will be speaking alternatives to high zinc levels in starter feeds. This event is free to all Swine Producers and guests will enjoy a complementary hot lunch. Registration for the Swine Symposium begins at 10:00am with the meeting to begin at 10:30am. We hope to see you there! 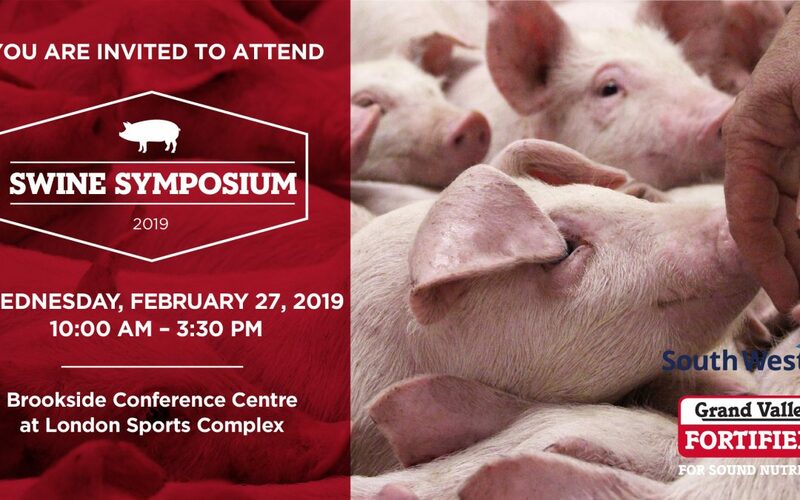 Click the button below to register for the 2019 Swine Symposium today!